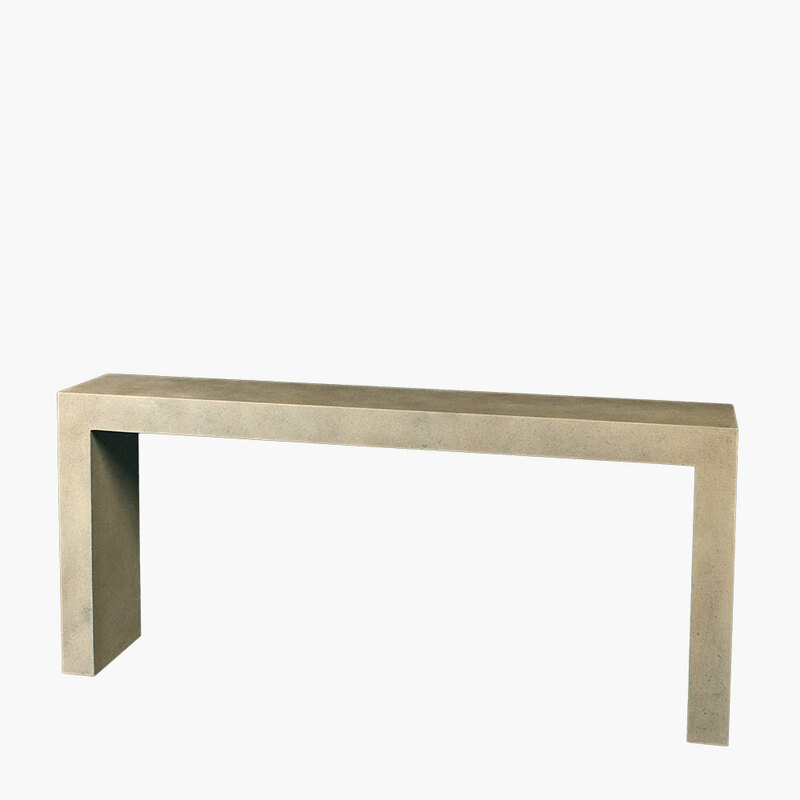 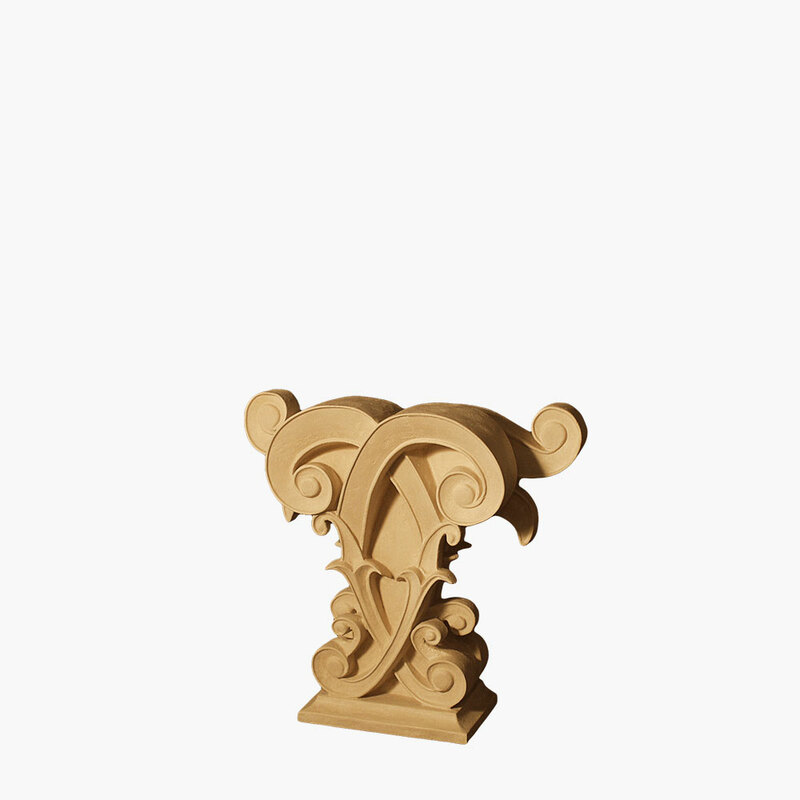 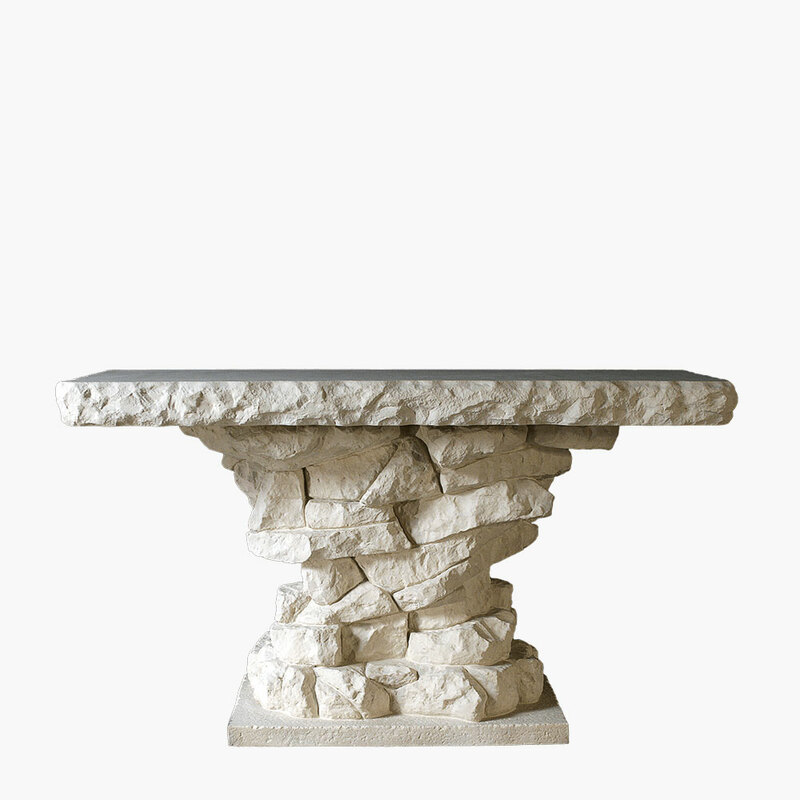 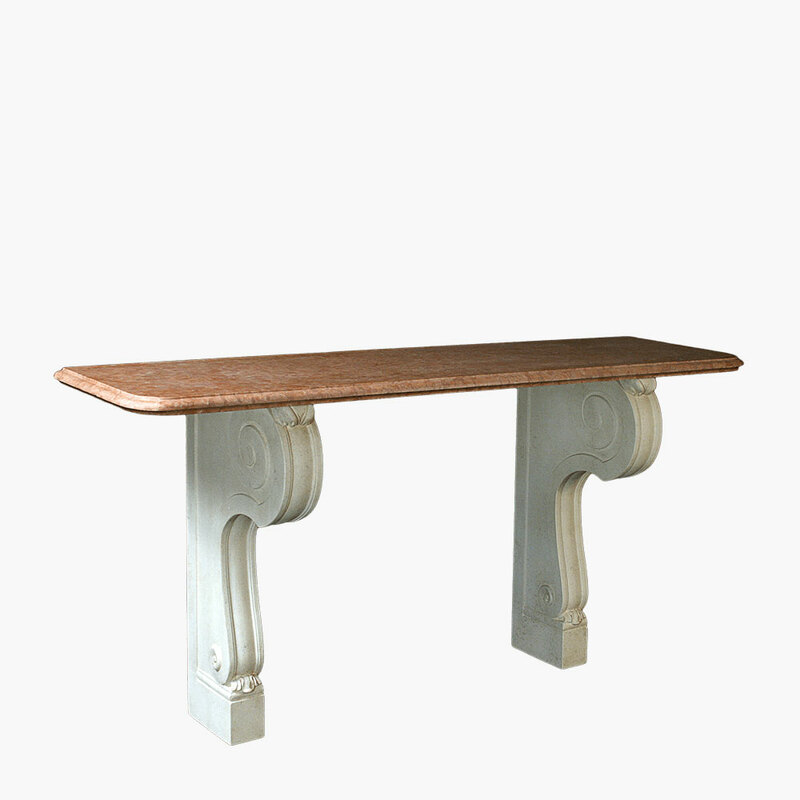 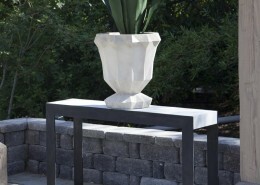 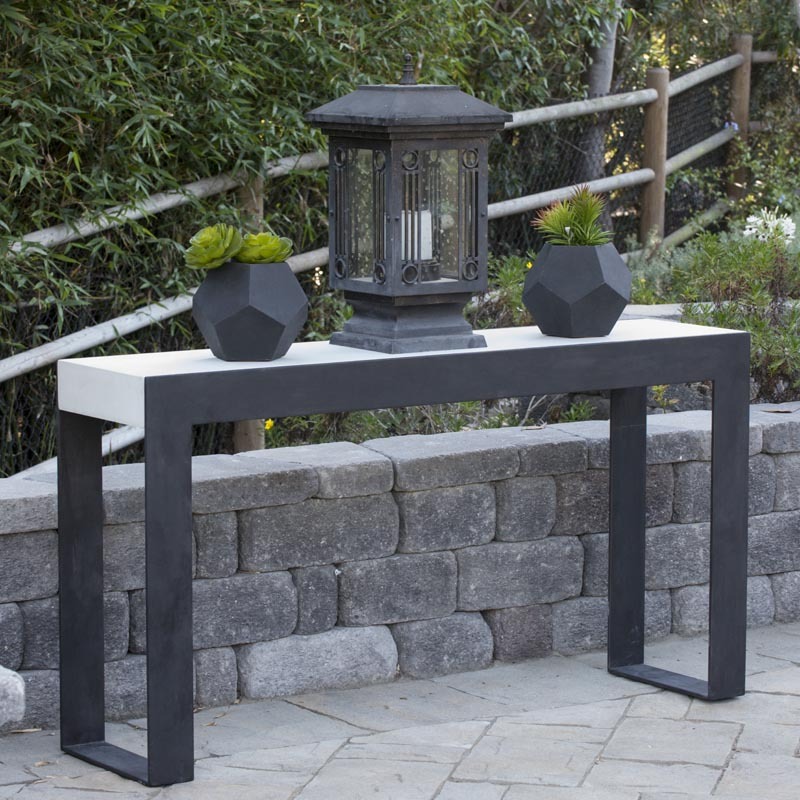 Parsons Console Table for Foyers and Entryways | Stone Yard, Inc.
Sleek, simple and sophisticated, the Dalle Console is an effortlessly modern take on the parsons console table. 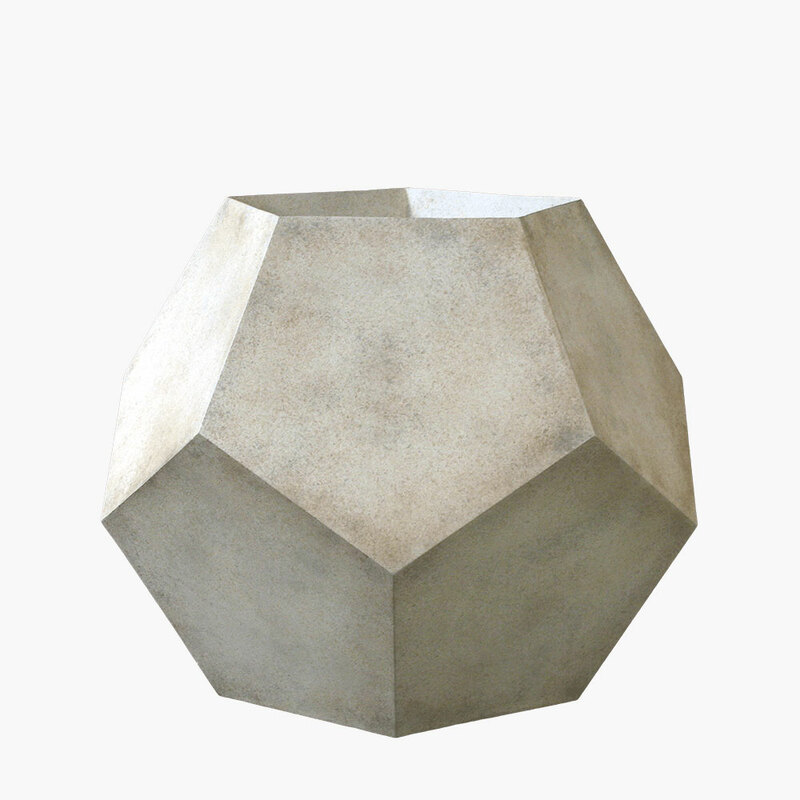 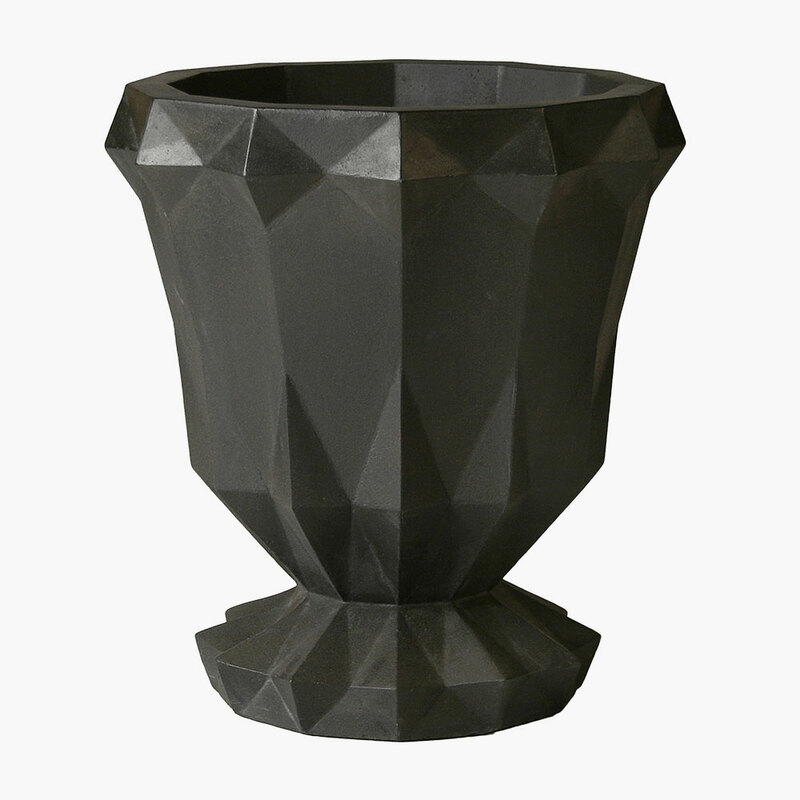 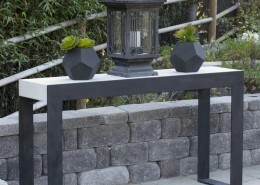 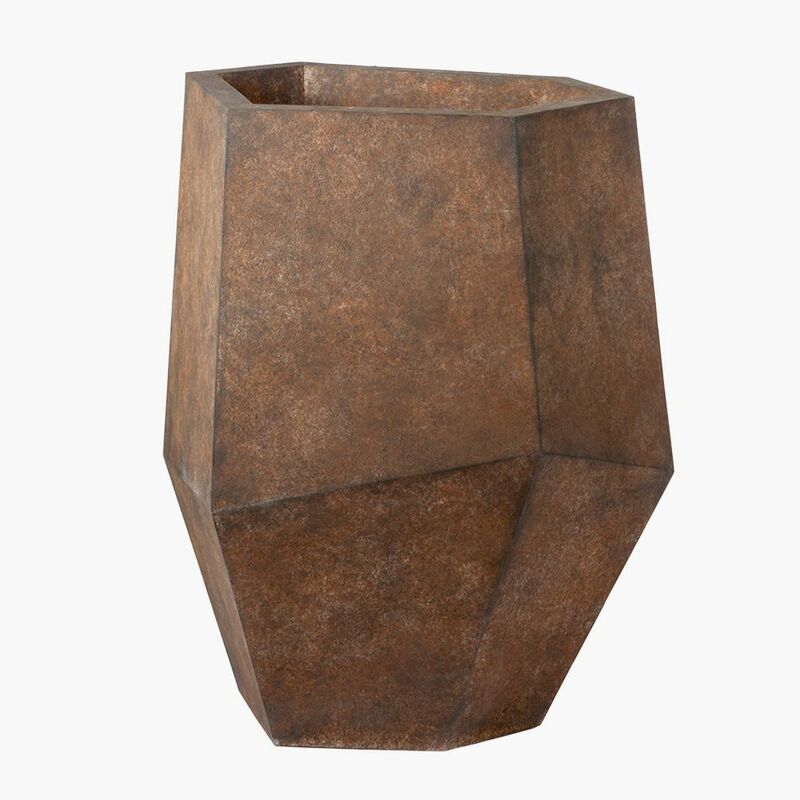 The dark solid steel sled base holds a thick concrete slab, fusing metal and stone together. 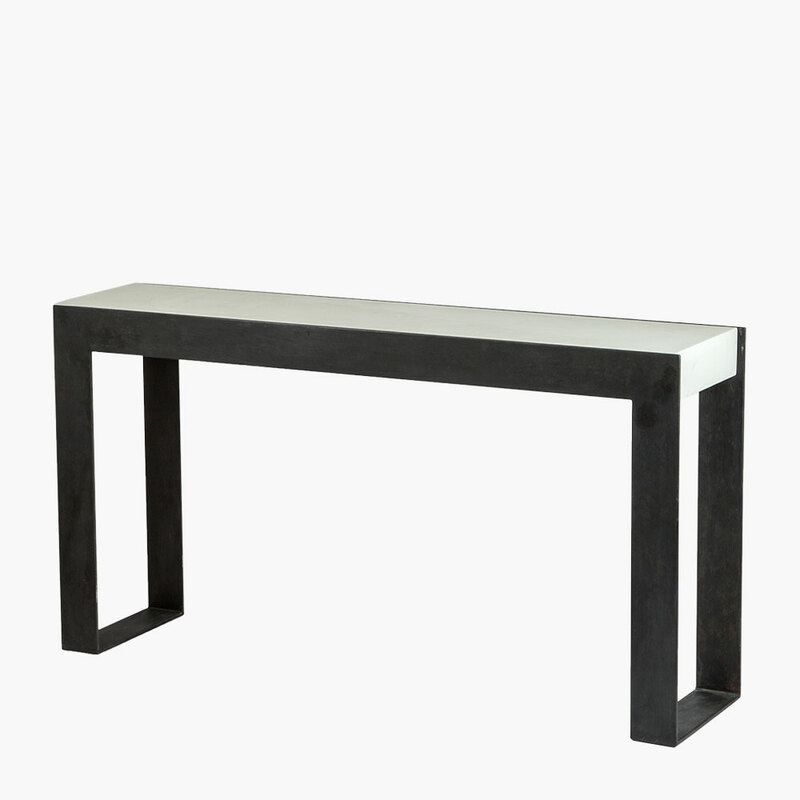 A Stone Yard, Inc. exclusive design, the Dalle table fits perfectly in foyers, hallways, bedrooms or any room with limited space. 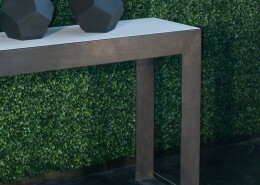 The frame is blackened steel with a GFRC tabletop (shown in Chalk finish). 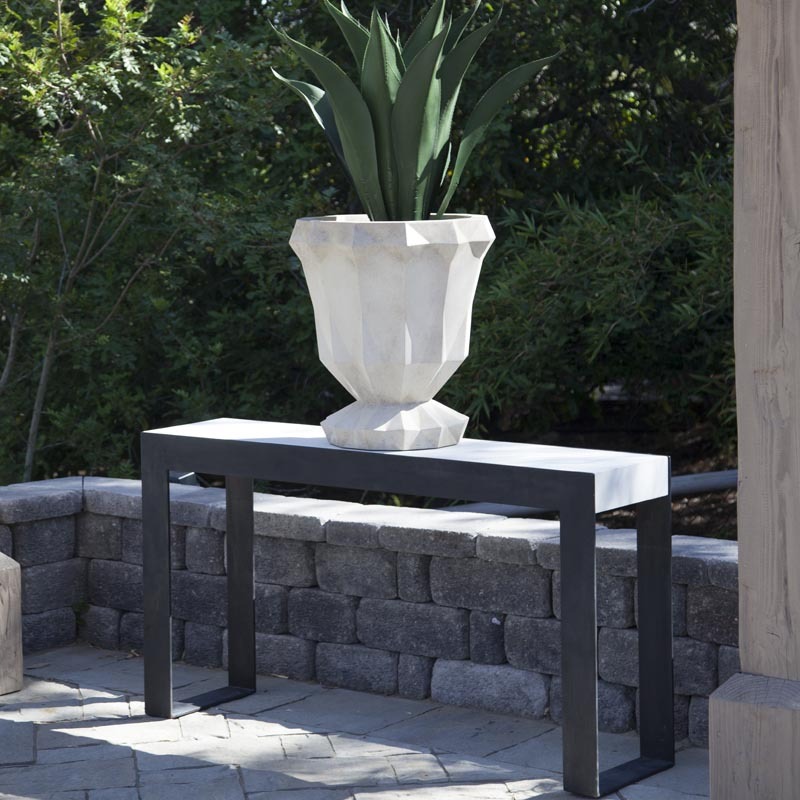 For outdoor use request our weather resistant powder coat finish. 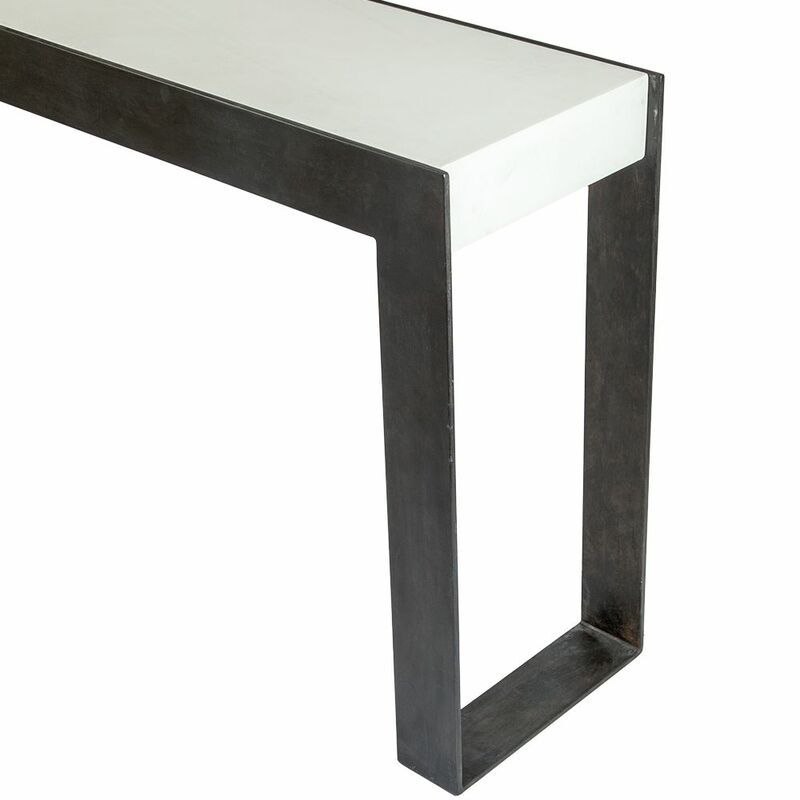 This narrow metal console table is shipped ready for placement. 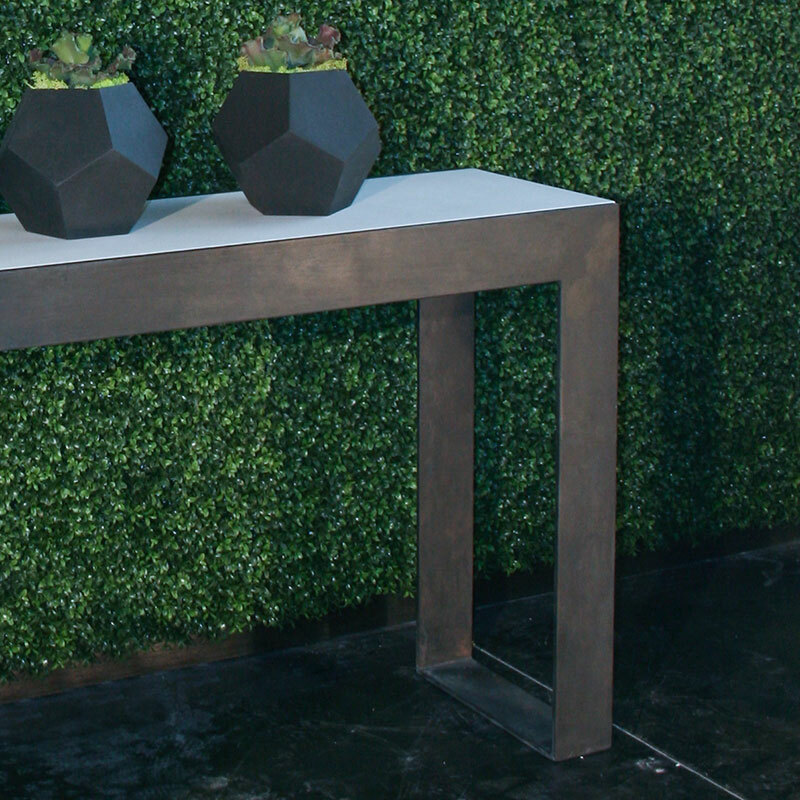 Use the distinct geometric contours of the Dalle to infuse expansive or intimate settings with avant-garde panache. 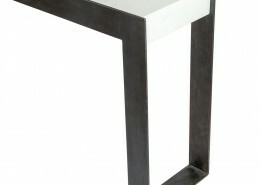 Pair with the Dalle cocktail and side tables for a cohesive look.